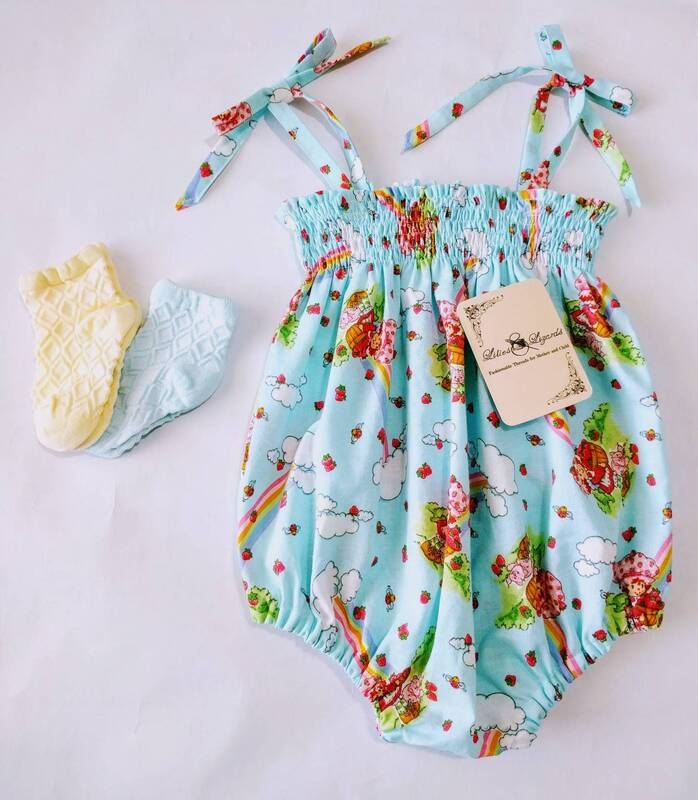 Strawberry shortcake, ladybugs, and rainbows adorn this vintage fabric on a classically inspired summer romper! Shirred top with shoulder tie straps, elastic leg openings and snap closure for easy diaper changes. The fabric is prewashed to avoid garment shrinkage. I collected the original Strawberry Shortcake dolls when I was young. This is perfect for my LO.